Increasing heat shock protein 70 (HSP70) in aged and/or insulin-resistant animal models confers benefits to healthspan and lifespan. Heat application to increase core temperature induces HSPs in metabolically important tissues, and preliminary human and animal data suggest that heated hydrotherapy is an effective method to achieve increased HSPs. However, safety concerns exist, particularly in geriatric medicine where organ and cardiovascular disease commonly will preexist. We evaluated young vervet monkeys compared to old, insulin-resistant vervet monkeys (Chlorocebus aethiops sabaeus) in their core temperatures, glucose tolerance, muscle HSP70 level, and selected safety biomarkers after 10 sessions of hot water immersions administered twice weekly. Hot water immersion robustly induced the heat shock response in muscles. 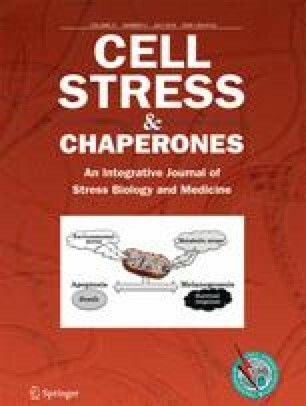 We observed that heat-treated old and young monkeys have significantly higher muscle HSP70 than control monkeys and treatment was without significant adverse effects on organ or cardiovascular health. Heat therapy improved pancreatic responses to glucose challenge and tended to normalize glucose excursions. A trend for worsened blood pressure and glucose values in the control monkeys and improved values in heat-treated monkeys were seen to support further investigation into the safety and efficacy of this intervention for metabolic syndrome or diabetes in young or old persons unable to exercise. Funding for this study was from the National Institutes of Health K01 AG033641, P30 AG021332 (Wake Forest University Claude D. Pepper Older Americans Independence Center), P40 OD010965 (Vervet Research Colony), and Wake Forest School of Medicine Hypertension & Vascular Research Center.